Paul Doswell calls time on his long reign as Sutton manager after a 2-2 draw with relegated Maidstone. Watch highlights as Oldham progress to the third round of the FA Cup for the first time since 2013 after beating National League side Maidstone United at the Gallagher Stadium. 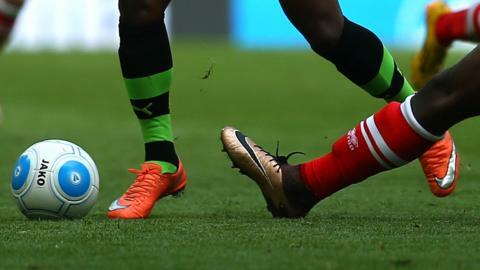 BBC Sport looks at a few things you may have missed in the EFL and non-league, including a goal scored after just 11 seconds.